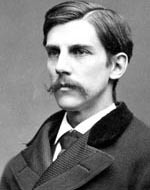 Oliver Wendell Holmes, Jr (1841-1935) was a United States Supreme Court Associate Justice. He was a scholar and influential in legal thinking. This is an excerpt from his essay, The Path of the Law. 1897, 10 Harvard Law Review.